The U.S. Department of Veterans Affairs has been focused on making the application for veterans benefits easier than ever, especially in the wake of the controversies of the past year. Now, veterans who seek disability benefits are required to use new standardized claim and appeals forms. These forms offer veterans more guidance in stating the conditions and symptoms for which they are applying for benefits, and give the VA the appropriate information to start the claims and appeals process. 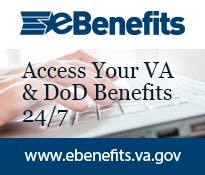 The quickest way for veterans to submit their benefits applications is online at the eBenefits website. The VA encourages all veterans to work with Veterans Service Organization representatives or representatives in their state or county to get assistance in filing online or on paper. The VA is hopeful that by standardizing the application process, it will be able to work through the backlog of applications by the end of this year. Applications by veterans or survivors for disability compensation or pensions: There are specific forms designed to get the necessary information to support benefit claims. These forms vary based on the person applying, so be sure to determine exactly which form you need to fill out. Notices of disagreement with any part of the VA’s decision regarding a disability claim: Again, depending on the nature of the appeal and the person filing the appeal, there may be different forms you need to fill out. Because veterans may need additional time to gather all of the necessary evidence to support their claims, the VA has also established a new “intent to file” process for claims, in which applicants provide the agency with advance notice of their intent to file to establish their earliest possible date for which their benefits would go into effect. For more information on how to file for benefits with a new standardized claim or appeals form, speak with an experienced veterans benefits lawyer at Marcari, Russotto, Spencer & Balaban Call us today at 866-866-VETS or contact us online. We serve veterans nationwide.